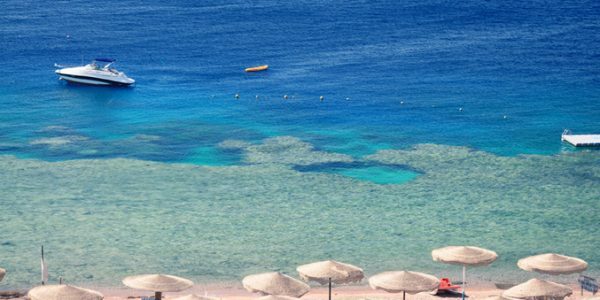 Stay on the shore of the Red Sea. 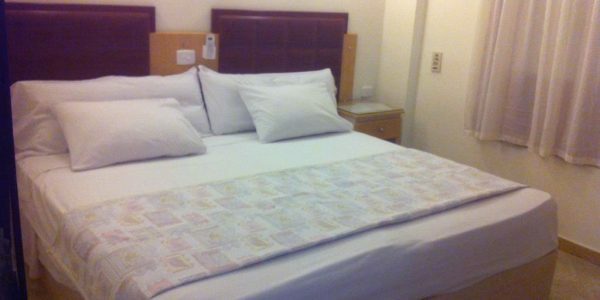 If you don’t want to be in a hotel and want to give animation a miss, but still want some comfort, our apartment is the ideal alternative. 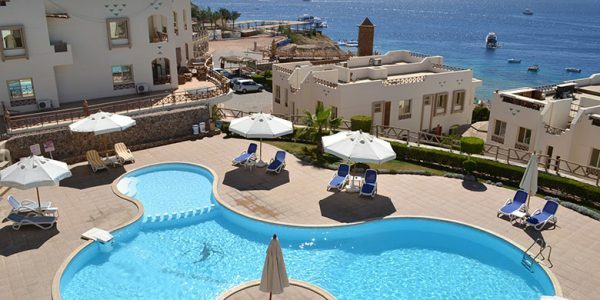 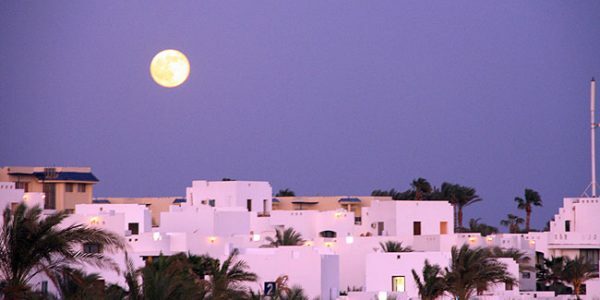 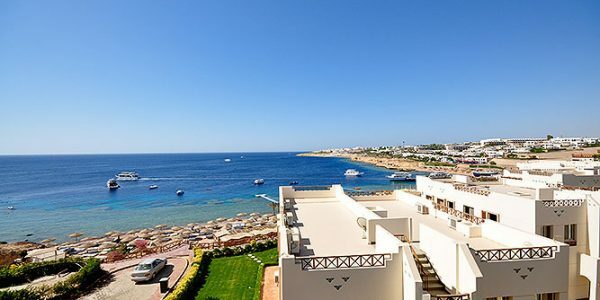 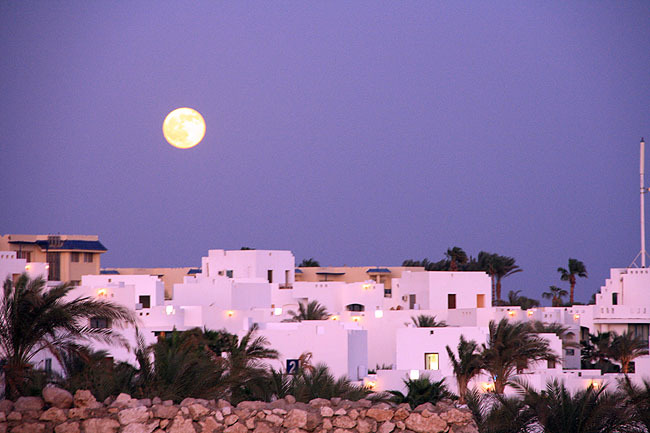 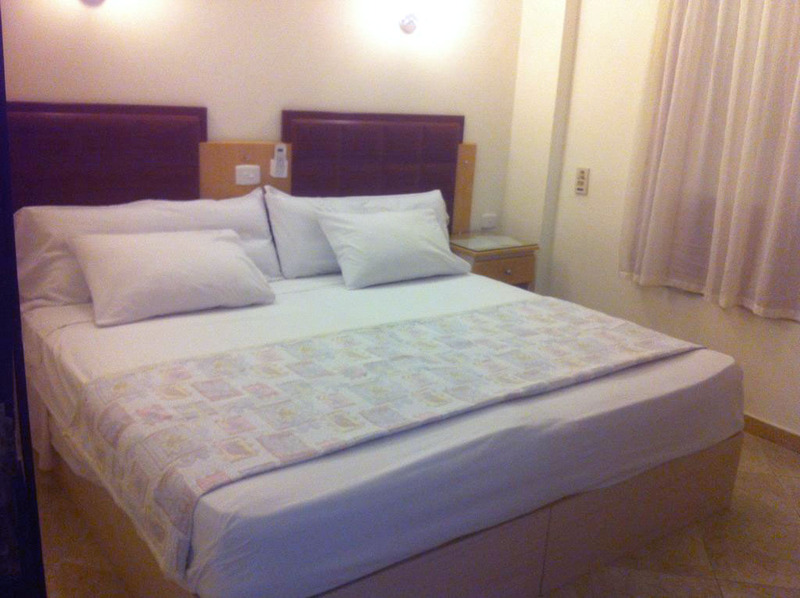 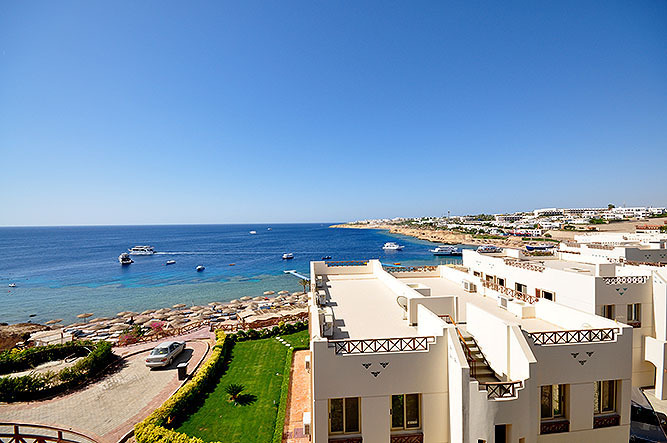 The apartment is part of a small newly built property located above Sharks Bay in Sharm el Sheikh. 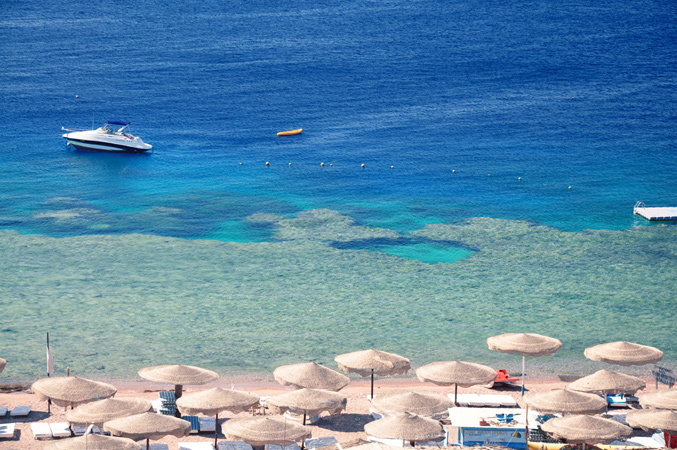 Crossing the sandy beach, the dive center is less than 5 minutes away on foot. 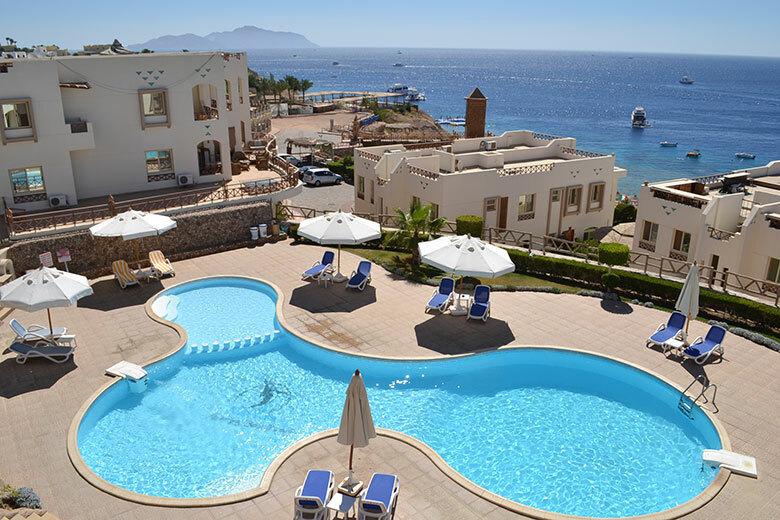 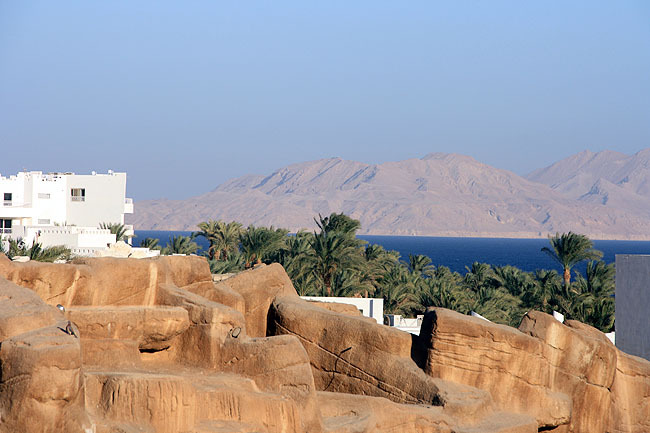 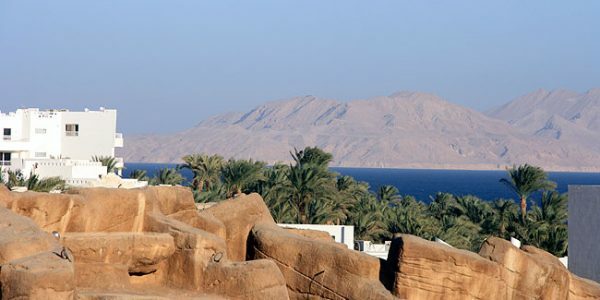 Pure bliss is the breathtaking view to the Red Sea from the small terrace / balcony or from the 5 different pool areas. 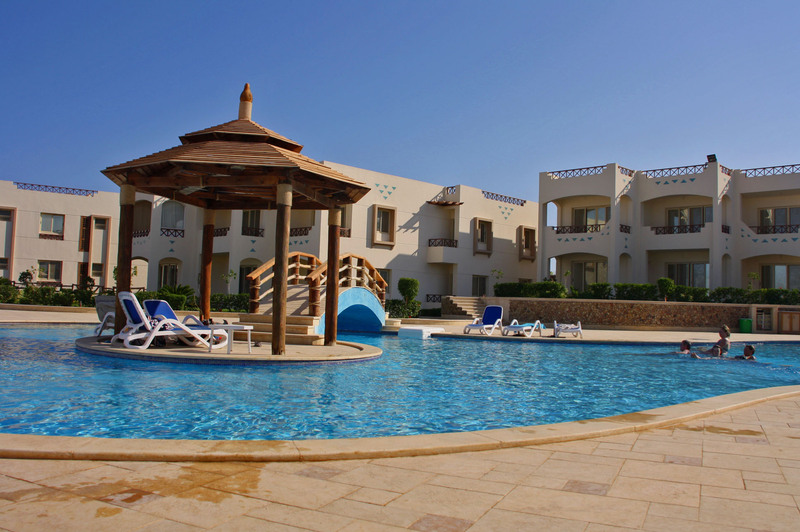 These pools are well distributed through the facility, one is always directly in front of the apartment. 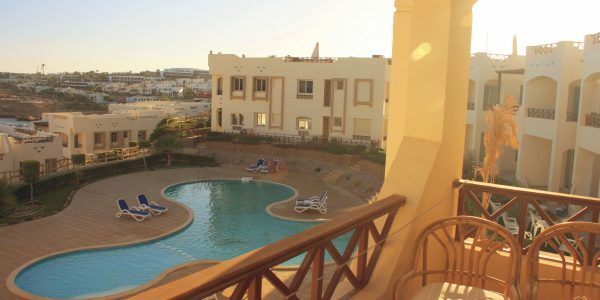 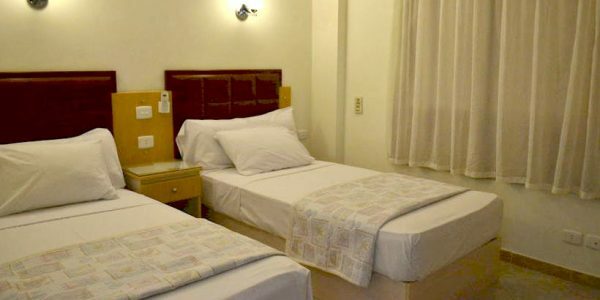 The apartments are available with one or two bedrooms. 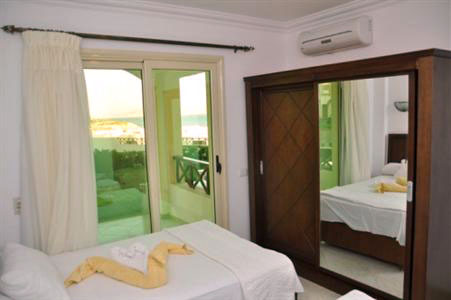 This is ideal for families as the kids can be among themselves, but still in their own four walls. 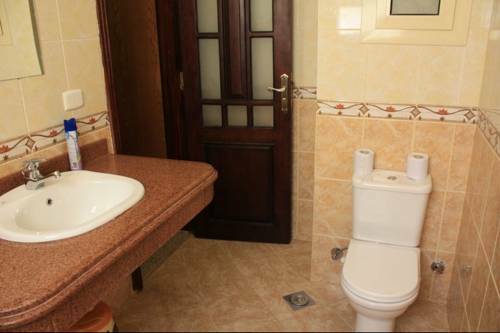 The apartments all come with air conditioning and a private bathroom. 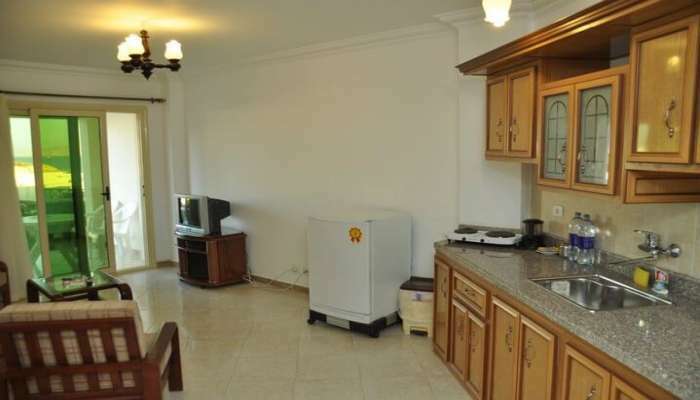 A small kitchen / kitchenette offers cooking facilities with hob, sink and refrigerator. 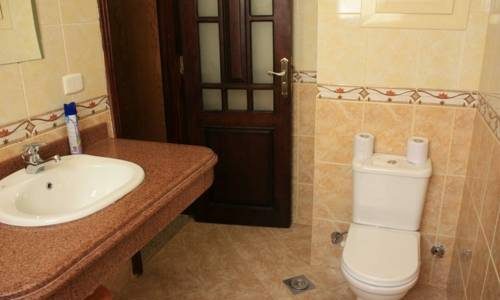 1-person apartments with one bedroom, a bathroom, open-kitchen, balcony. 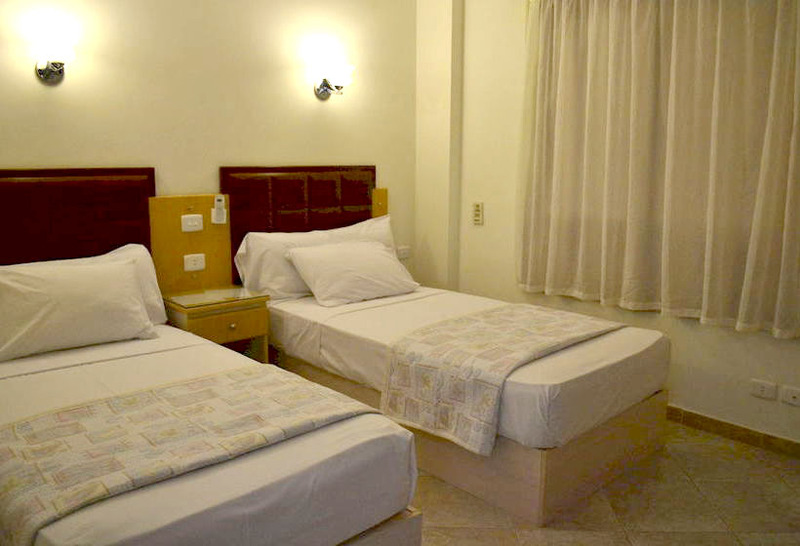 2-person apartments with one bedroom, a bathroom, open-kitchen, balcony. 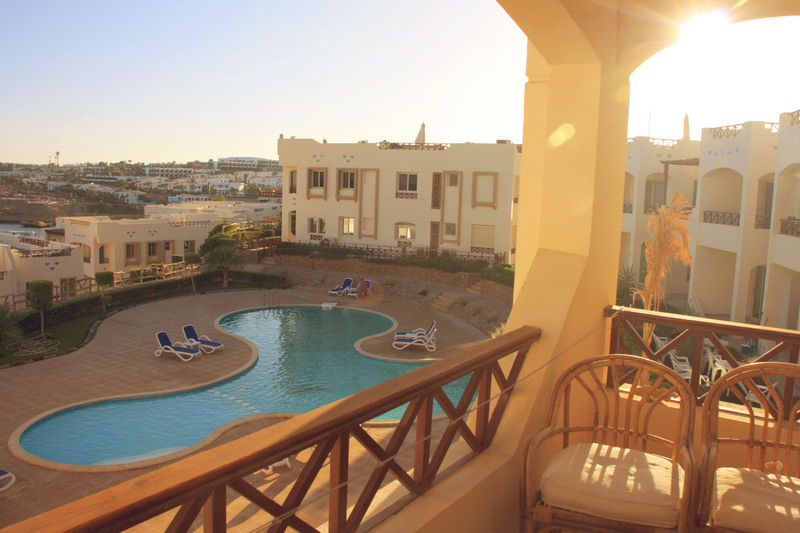 3-4 person apartments with 2 bedrooms, 2 bathrooms, open-kitchen, balcony / terrace. 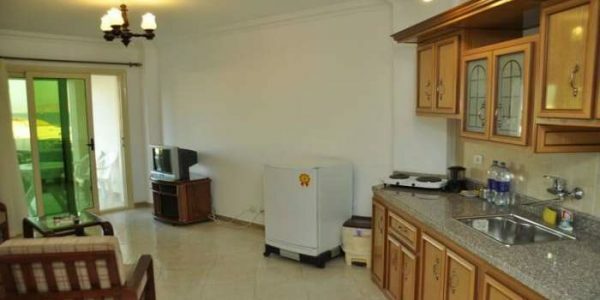 Breakfast is included, in the restaurant of the residential complex.